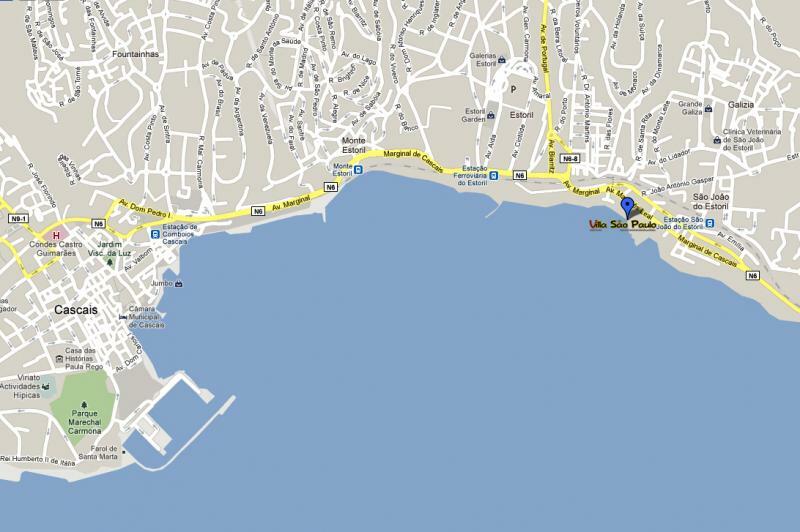 Check out our map and the details of surrounding areas﻿. To zoom, please place mouse over maps, then click on the lower right corner icon. 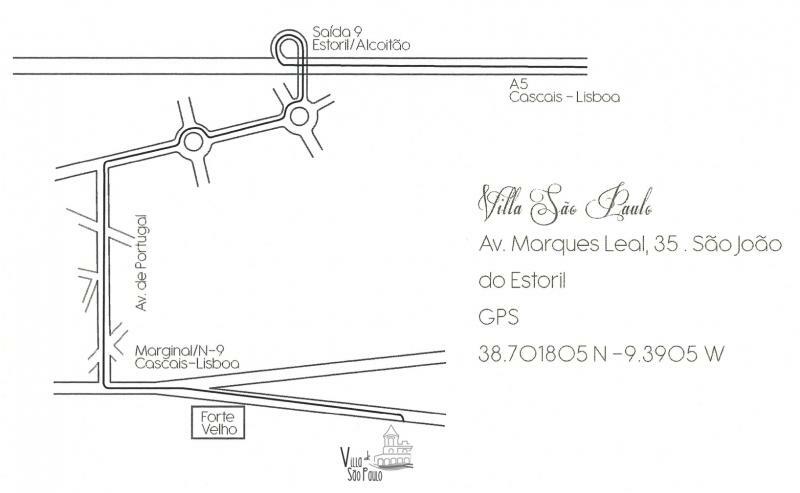 In a few minutes you can go to﻿ Estoril (5 min walk), ﻿Cascais (20 min walk or 5 min train), ﻿Sintra (10 min drive) and﻿ Lisbon ﻿city center (30 min drive or train). There's so much to see and to do, that you will not want to go home! Click HERE to share more information about Portugal with your wedding guests.